In an age of austerity, the list of worthy causes deserving both moral and financial support seems to get longer by the day. For the next couple of weeks, I’ll take a look at a few lesser known ones: not so much in the extremely optimistic hope that a philanthropic billionaire will stumble across these posts, but simply to raise awareness just a little! My first pick is ‘Build the Lenox‘, the project to build a replica seventeenth century warship on the site of the historic Royal Dockyard at Deptford (which this year celebrates its 500th anniversary). I have to declare an interest in this one. 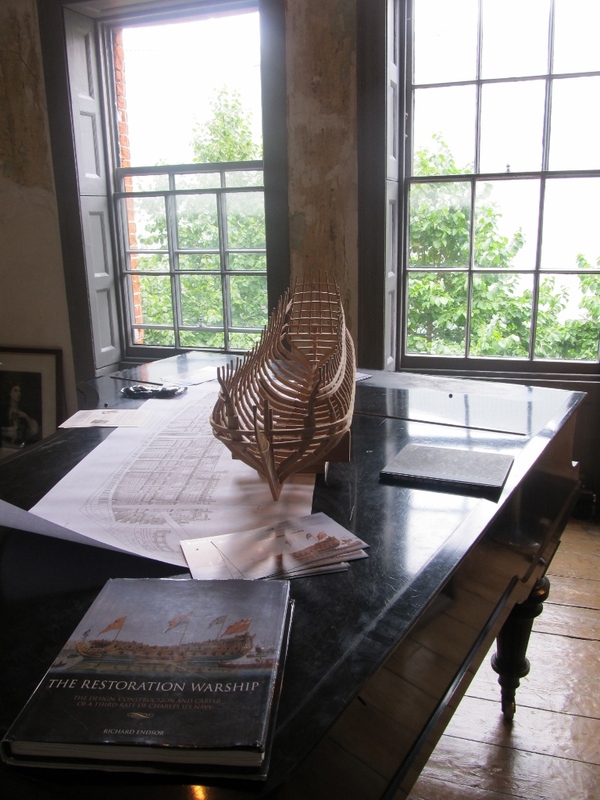 The genesis of the project was the book The Restoration Warship by my old friend Richard Endsor, a remarkably detailed study of the design, construction and career of the ship based on over twenty years’ research. (Richard also produced the magnificent cover art for the original UK and US editions of Gentleman Captain.) The Lenox was the first of the thirty new ships begun in the 1670s on the initiative of King Charles II and Samuel Pepys, who in 1677 convinced a reluctant House of Commons that the Royal Navy had fallen behind its rivals, France and the Netherlands, and succeeded in winning the funds for the new building programme. Because she was the first ship to be built, a huge amount of detailed information about the construction of Lenox survives, meaning that it would be possible to reconstruct an essentially exact replica of the ship. I blogged in more detail about the history of the Lenox and the genesis of the replica project a few months ago, so this post is by way of an update on progress. The Lenox project has now become an integral part of the ongoing discussions of the future of Convoys Wharf, the former historic dockyard site at Deptford (see another previous post on this blog for the archaeological excavations that revealed much of the extraordinary history and heritage of this site). Local opposition to the scale and nature of some of the developers’ proposals has led to the development of alternative strategies, and the building of the new Lenox on the site is one of these. It is hoped that the construction of the ship would create opportunities for local youngsters to learn valuable skills, while the tourism potential of the ship (so close to Greenwich, that major tourist trap and ubiquitous film location) should be tremendous. The new Lenox would also have potential as a unique and attractive location for corporate events. If funds permit the construction of a ship that could actually put to sea, then further possibilities open up – for example, potential opportunities for young people to undertake sail training in an ‘original’ tall ship. The Lenox team are currently developing their plans and trying to raise their profile. 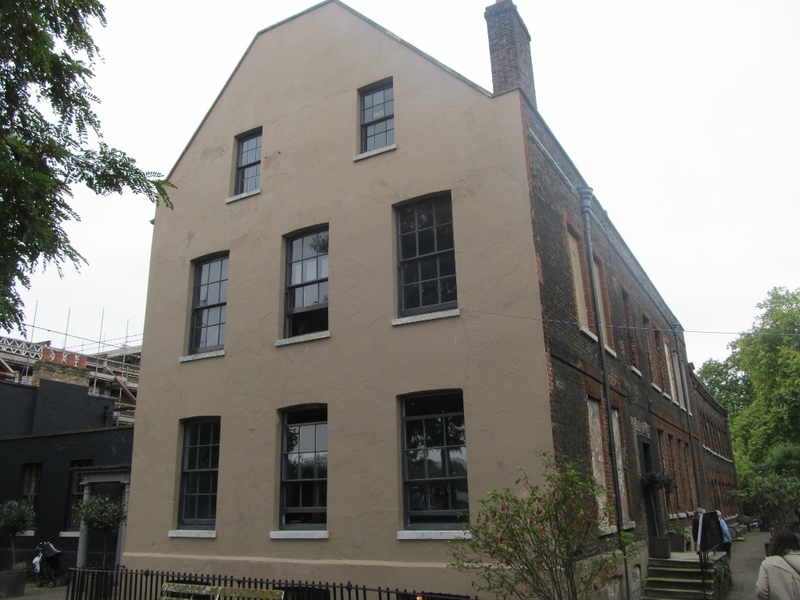 As part of this process, both they and ‘Deptford 500’ had a strong presence last weekend at the Master Shipwright’s house in Deptford, the oldest surviving dockyard building in Britain (1708), which was open to the public over the weekend as part of the splendid London Open House. I went along to lend my support, as did none other than Mr Samuel Pepys himself, who gatecrashed the Lenox press conference and was duly filmed by the BBC! It proved to be a very enjoyable event, with a substantial number of people visiting the house and, in many cases, showing a real interest in the project. It’s clear that many in the Deptford area have really taken the Lenox project to heart – for example, the pub adjacent to the dockyard site is plastered with ‘Build the Lenox‘ posters! 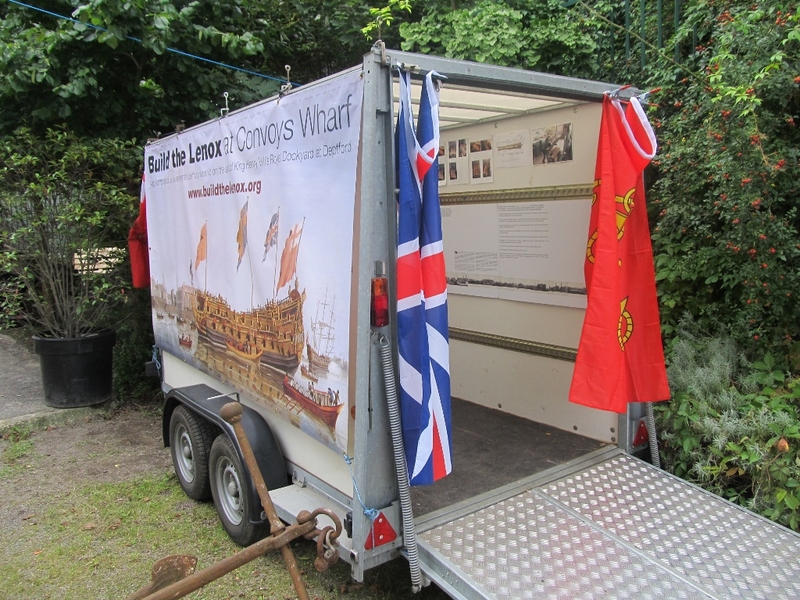 Obviously, though, the hard part will be ensuring that the new Lenox becomes an integral part of whatever finally happens on the Convoys Wharf site, while the even harder part will be raising the funds to make it happen. So if you really are a philanthropic billionaire who’s happened to chance on this blog…well, need I say more?